We are what we eat? The single most important organ of our body and the powerhouse controlling every other function and organ of the body is the brain. Everything we eat effects the messengers within the brain. These are called ‘neurotransmitters’. And like everything else, and more than everything else, our brain, the control center of our body, needs nourishment and the right type of foods. The brain produces chemicals in response to different stimuli. For example, adrenaline is released when in a ‘flight and fight’ state. Serotonin is released when the body is under stress. Eating proteins can have an effect to alert the body, and eating sugars can help the brain to relax. Hence, we can see how each process in this highly differentiated and complex organ of our body is effected by what we eat. So, what do we need to do in order to nurture, sustain and nourish our brains? Here is what we need to keep in mind when planning our meals. It has been shown that’s foods rich in this type of acid, which is present in ample quantity in nuts and fish such as salmon, aid in fighting depression. Many brain disorders such as schizophrenia and attention deficit disorder (ADD) can also be prevented by consuming a diet rich in omega-3 fatty acids. These natural and organic foods help in fighting toxins and maintaining a healthy weight. Obesity and toxins can affect the health and function of the brain, including a decrease in the cognitive ability of the organ. Antioxidants in fresh, leafy green vegetable such as broccoli, eggplant, and kale are especially advantageous. These are foods that help protect the function of our brains. Several vitamins, such as vitamin B6, are important for the production of neurotransmitters in the brain. 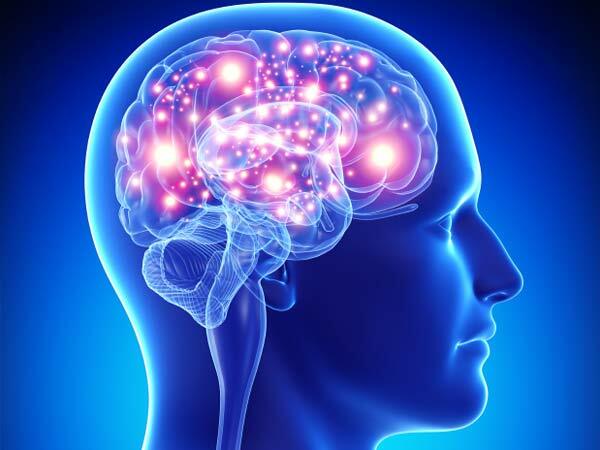 Furthermore, age related decline in the number of brain cells can also be decreased with the help of vitamin C. Similarly, thiamine and vitamin B are vital for the normal cognitive functions of the brain. These nutrients are rich in sweet potatoes, fresh fruits, vegetable and nuts. It is not just important to supplement our diet with foods that are good for our brain, but also avoid those that cause harm to it. Foods high in saturated fats, such as red meat and man-made fats are harmful for the brain. Check out this interesting video about Dr. Bernard and his research on power foods for the brain. So basically, food for thought? Yes, but the right food for the ‘best thought’ is what’s best for the optimal functioning of our brains. Our brain is a miraculous organ, with infinite abilities, many of which still remain untapped. Hence it is important to be able to use this powerhouse of ours to the best of its functioning ability. Better nourishment, better brain, and of course, a healthier life! Thanks for reading!